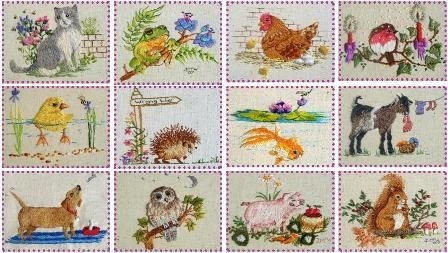 Kits, Little Animal Series, Mini Kits, Specials! 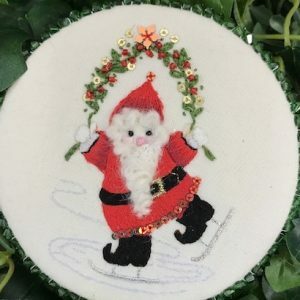 Santa’s Garland Christmas Ornament kit comes complete with pre printed design on fabric, threads, wooden disc and embellishments to stitch and construct one hanging ornament. Please note that the Swarovski Crystals are not included as most Stitchers prefer to use their own – it also keeps the price of the kit down. 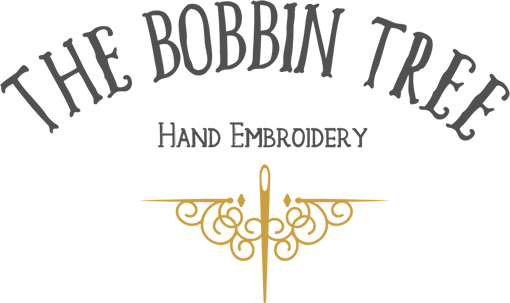 Swarovski Crystals are available from The Bobbin Tree if you need to purchase some. The wooden disc measures 4” in diameter so the finished ornament is slightly larger.